User Kiwi_birds asks the BSD community on Reddit if there are any plus sides of using BSD over Linux. Many users chime in on their experience with FreeBSD, NetBSD, DragonFlyBSD, and other distributions. We’ve highlighted some of the topic comments. You may view the full discussion at the Reddit thread below. Makes your beard thicker and more gray. Kidding aside, BSD is a collection of 4 operating systems designed from top down as full OS’s. Linux is generally a mixture of a kernel and the userland of the failed GNU Herd. BSD is Copyfree, Linux is Copyleft. BSD is a UNIX, Linux is a UNIX Like. useful man pages. I’ve never seen a Linux distro that was anywhere close to as well-documented. coherent design. Since they control kernel and user space, they can have a tighter integration. more willing to go slowly (in my experience, NetBSD is particularly this way) and go without something for a bit if the implementation will be a boat anchor later. To be fair, Linux might be more this way if it didn’t have practically infinite dev resources. 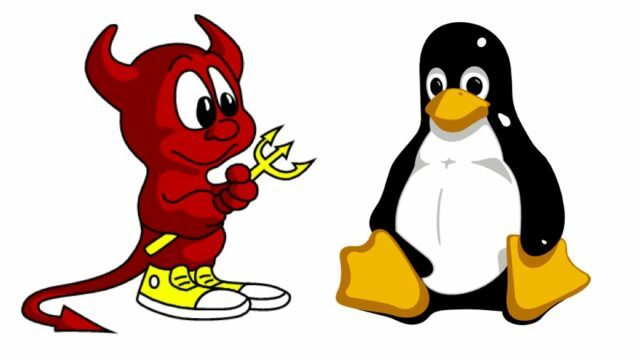 Is FreeBSD faster than Linux?